The Interreg IPA Cross-border Cooperation Programme Croatia-Serbia 2014-2020 is a new cooperation programme envisaged to be implemented during financial period 2014-2020. It represents continuation of successful cooperation between two countries established previous financial perspective. PA1 – Improving the quality of public social and health services in the programme area. PA2 – Protecting the environment and biodiversity, improving risk prevention and promoting sustainable energy and energy efficiency. PA3 – Contributing to the development of tourism and preserving cultural and natural heritage. PA4 – Enhancing competitiveness and developing business environment in the programme area. 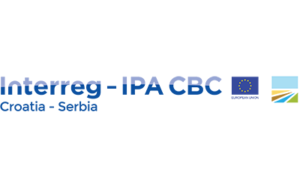 Within four priority axes, the Programme defines five specific objectives that indicate specific changes that the Interreg IPA CBC Programme Croatia-Serbia 2014-2020 anticipates to achieve through implementation of specific actions and realization of related outputs. In total, the programme area covers 9 NUTS III regions in the cross border territory between Croatia and Serbia. 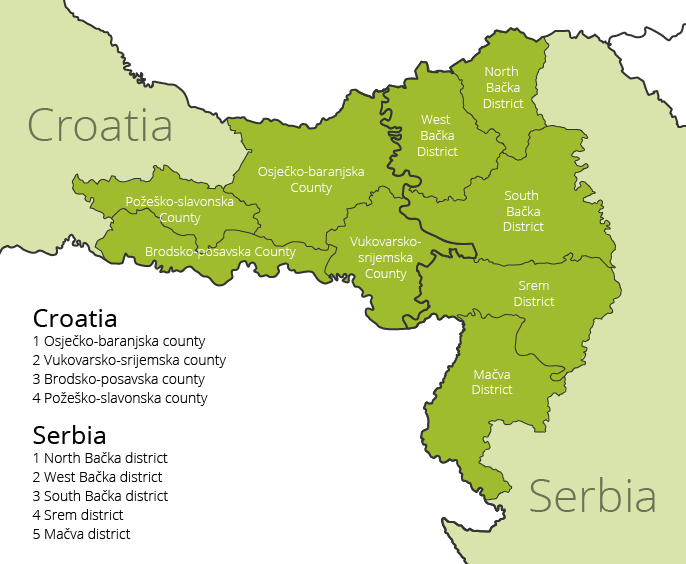 On the Croatian side, the programme area includes 4 counties on the north-east of Croatia: Osijek-Baranja, Vukovar-Srijem, Brod-Posavina and Požega-Slavonia counties, whereas on the Serbian side, the programme area covers 5 districts on north-west of Serbia: North Bačka, West Bačka, South Bačka, Srem and Mačva district. Covering an area of over 25.505 km² the Interreg IPA Cross-border Cooperation Programme Croatia-Serbia is home to about 2.3 million people. The programme is managed by the Managing Authority – Directorate for Managing Cooperation Programmes and Regional Development within Agency for Regional development of the Republic of Croatia. The Managing Authority is supported with respective National Authorities, Ministry of Regional Development and EU Funds in Croatia and Serbian European Integration Office in Serbia. Other programme bodies that make part of the Programme management structure are Joint Monitoring Committee, the programme body responsible for reviewing the effectiveness, quality and coherence of the implementation of all actions towards meeting the programme objectives, Certifying Authority, the programme body responsible for making payments to the Lead beneficiaries, Audit Authority, the programme body responsible for carrying out system audit and audit of operations and Joint Secretariat, responsible for providing support to Managing Authority and Joint Monitoring Committee in carrying out their respective functions.